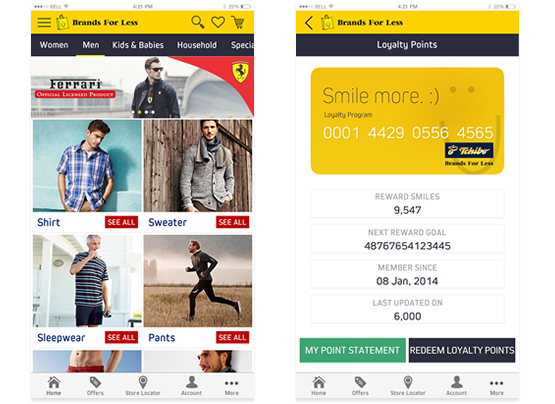 UCS worked with BFL to launch a mcommerce enabled mobile app for mobile based shopping across the complete BFL catalog. Brands for Less is a leading retail organization with over 30 retail stores across the Middle East and constantly endeavors to bring shoppers the latest and most innovative products ranging across men's, women's and children's apparel as well as household items. UCS worked with BFL to launch a mcommerce enabled mobile app for mobile based shopping across the complete BFL catalog. 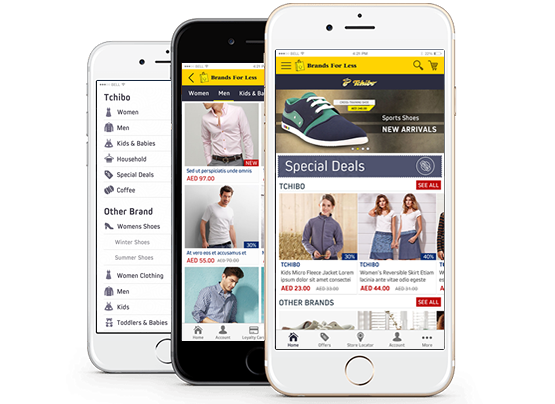 The app provided an easy and visually appealing shopping experience directly from the user's mobile phone.